1v1 to end gates. 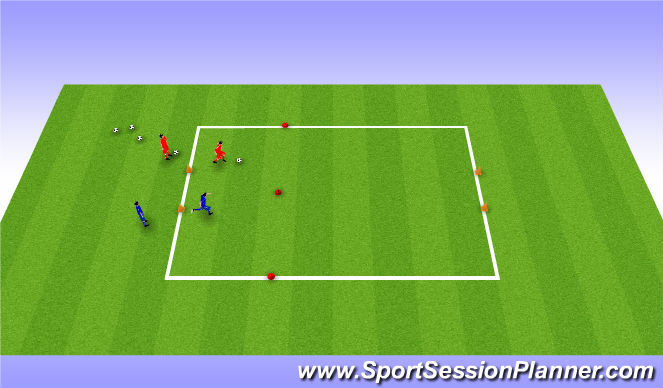 Points scored for dribbling under control through either gate. Have to dribble past line of cones (about 1/3 of pitch mark) to start. 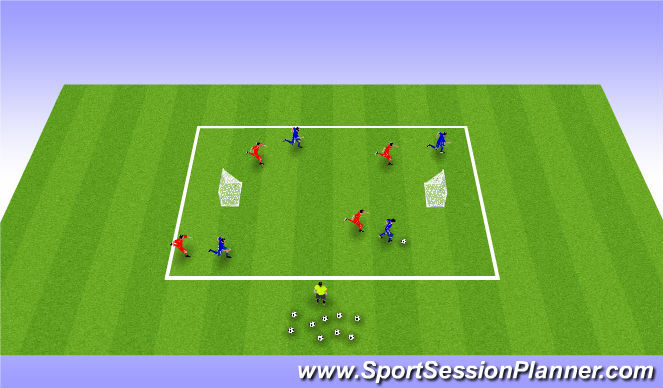 5 points for use of inside or outside cuts that leads to a goal. If player turns into pressure, that is their turn over.